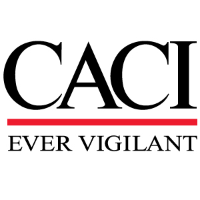 Join CACI in Support of the U.S. Army Chief Information Office (CIO)/G-6 to lead the Army’s network modernization to deliver timely, trusted, and shared information for the Army and its mission partners. Support efforts concerning the policies, technological improvements, operations, network architecture and planning for the Army's Command, Control, Communications, and Computers (C4) Information Technology (IT) systems and associated applications and support equipment. Assist in the development of policy and guidance on C4/IT communications systems, and related activities, services and programs. Assist Army CIO/G-6 in its coordination of communications objectives throughout DoD, Joint staff, and Army Staff on current, modular and future tactical systems and support Army CIO/G-6 in its assessment of their alignment and synchronization to the Army Network Strategy. As a team member supporting AONS CIO/G-6, you will provide technical services to include planning, program, budget, and analytical services to aid in resourcing critical Army command, control, communications, computers (C4) and IT needs. You will also provide recommendations for how the CIO/G-6 can synchronize technology and business management to enable better execution, risk control, and efficiencies for the Army. Provide planning, technical and analytical portfolio management services for the communication requirements in support of the Army Force Generation process, LWN and modularity conversion initiatives, and the tactical Line of Sight/Beyond Line of Sight communications portion of LWN modernization development and implementation efforts. - Support IT PfM activities and Army Enterprise Network capability alignment to the Enterprise Information Environment Mission Area strategy by tracking current and planned tactical communications capability efforts (plans / investments / performance) and providing recommendations and analyses to the Domain Managers. - Attend meetings, collect and share relevant information on the Army's major and supporting C4 systems / programs / applications (e.g. current and future Tactical Radio Systems: Joint Mid-Tier Networked Vehicular Radios (MNVR), HMS Manpack, Enhanced Position Location and Reporting System (EPLRS), Single Channel Ground to Air Radio System (SINCGARS), Multi-Band Intra/Inter Team Radio (MBITR), Combat LMR; Narrowband Tactical Satellite (TACSAT) terminals: Ultra-High Frequency (UHF), Mobile User Objective System (MUOS), Warfighter Information Network-“Tactical (WIN-T) Increments 1-4, and the Fixed Regional Hub Nodes (FRHN)). - Report to the Government Task Lead regarding the Contractor's assessment on the ability of plans / programs to meet information sharing requirements levied by the functional support IT systems. - Support Army CIO/G-6's integration and architecture development and impact analyses requirements (e.g. implementation of Computing Environment standards as part of emergence of the Common Operating Environment) of MNVR, WIN-T and other major LandWarNet components and assist Army CIO/G-6 in coordinating Department of the Army, Joint, and OSD level staff actions and correspondence and represent Army equities in the Theater, Joint, Tactical Networks Configuration Control Board. - Provide support to Action Officers throughout the AGILE process and Network Integration Evaluation (NIE) planning activities, Warfighting functions and telecommunications and IT principles by collecting/analyzing data and providing recommendations regarding policy, utility/feasibility of implementing policy and Programs of Record. - Provide the following services: Participate in NIE working groups, Integrated Product Teams and Interim Progress Reviews, discussions with ASA (ALT), G8, G3/5/7, TRADOC, Army Test and Evaluation Command and the Joint community; Review documents and orders (Requirements, Gap analyses, System Architecture, EXORDs, and Capability Sets); attend the Planning Conferences, Configuration Steering Boards and other periodic review activities. - Collect information (Architecture, IA, Cyber, Spectrum, Integration, Satellite and Aerial systems, Portfolio Management) during meetings, synthesize the information, and further analyze and coordinate relevant collected information. - Maintain, review, coordinate and update charts for systems in test (i.e. tactical Radio, Mission Command etc. ), as well as provide relevant information to Senior Government Leadership. - Provide support the coordination both internal and external to the Army CIO/G-6 regarding plans to prepare and implement Joint Exercise Bold Quest mission network, as an episodic mission partner environment (MPE), including collaborative development of joining, membership, exit instructions (JMEI) working group meetings. Typically requires bachelor's degree in or equivalent and five to seven years of related experience.